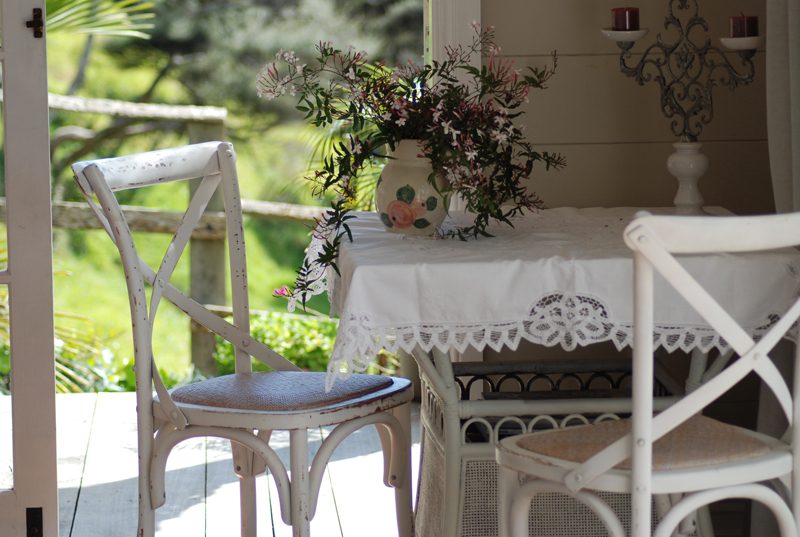 Rosebud Cottage is a french country styled studio designed for two. 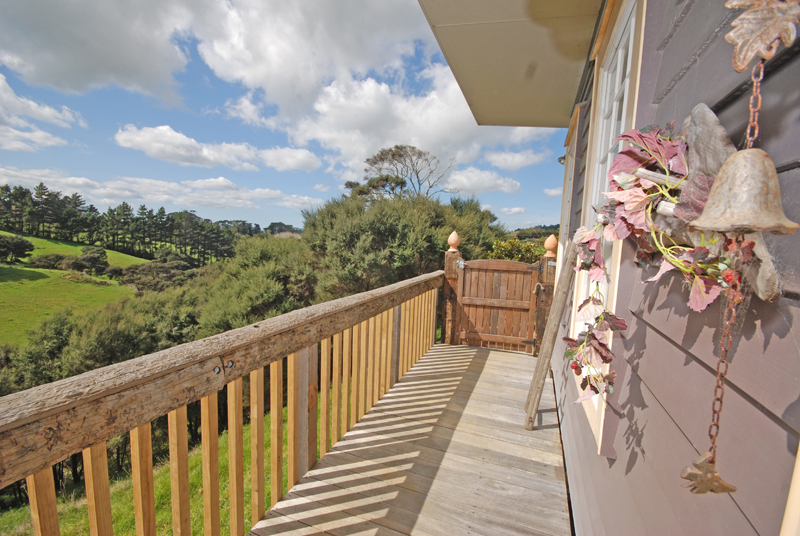 The cottage boasts an outdoor clawfoot bath, beautiful country views and absolute privacy. The French doors open up to a stunning rural view and deck with loungers on one side. The other doors open up to another deck and sitting area where the clawfoot bath is displayed. Rosebud Cottage is fully equiped with all Kitchen utensils & crockery, bedding, exquisite white linen, towels & robes. The cottage has a dvd player, a small selection of books & magazines. The Romantic Package includes a yummy self-cook breakfast with all the trimmings, a speciality loaf of bread, fresh ground coffee. A bottle of bubbly, mood lighting, fresh flowers and candles as well as bath salts and essential oils for your bath experience. Honeysuckle Cottage is a two bedroom, 2 bathroom cottage that sleeps 5. The first bedroom includes a queen bed with an en suit. 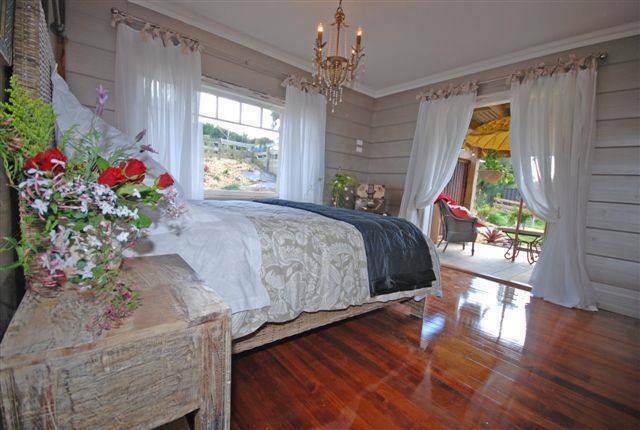 The room opens up to a deck, a clawfoot outdoor bath, beautiful country views and absolute privacy. The second room has bunk beds and sleeps 3. The Cottage's kitchenette includes a fridge, oven and washing up sink. 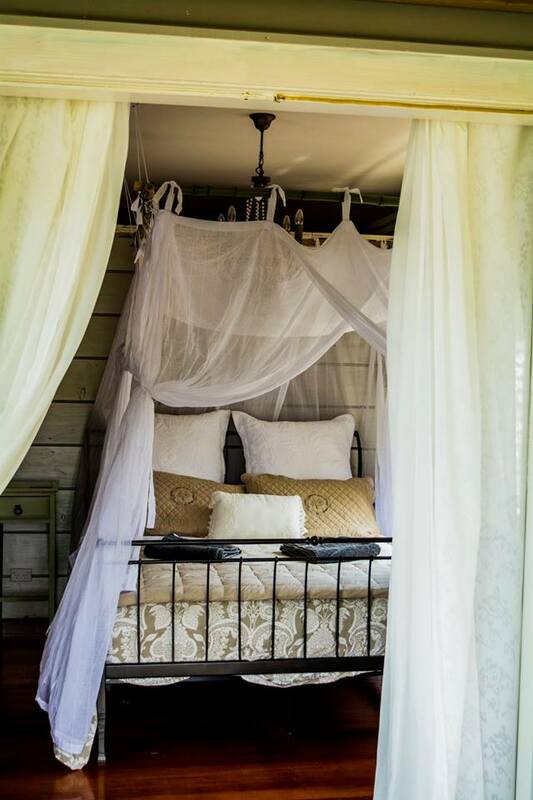 Honeysuckle Cottage is fully equiped with all Kitchen utensils & crockery, bedding, exquisite white linen, towels & robes. The cottage has a dvd player, a small selection of books & magazines.